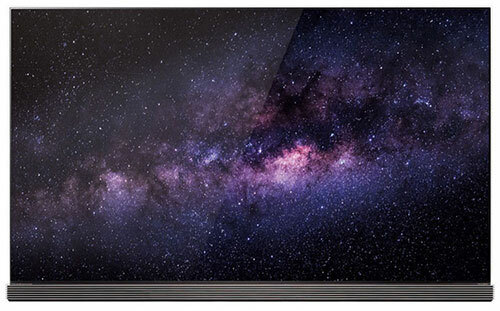 REYKJAVIK, ICELAND, June 22, 2016 — LG Electronics (LG) is kicking off a global campaign to make the Northern Lights, also known as the Aurora Borealis, visible to audiences around the world in the most unique way — via its cutting-edge HDR-enabled 4K OLED TVs. LG will showcase the OLED Aurora Borealis at an event in Reykjavik, Iceland kicking off with a concert featuring the Icelandic band, Of Monsters and Men, on July 20, followed by a four-month photo exhibition portraying the beauty of Iceland on LG OLED TVs. The Northern Lights cannot be observed in Iceland from April to August due to the midnight sun which keeps the country lit almost 24 hours a day. To give summer tourists and residents their first opportunity to view the Aurora Borealis during the summer months, LG has invited 1,000 guests from around the world to the Lights Out, Stars On concert where the hometown band Of Monsters and Men will perform. For one night only, the award-winning Harpa Concert Hall in Reykjavik, with its glass panels resembling the elegant Picture-on-Glass of LG SIGNATURE OLED TV will feature 40 large OLED TVs installed in an array to display the Icelandic night sky on their perfectly black screens. The campaign will feature a photography exhibition displaying images of scenic Icelandic landscapes and night skies on LG OLED TVs. Captured by a number of talented Icelandic photographers, the images showing the natural beauty of the heavens and the Earth will be displayed in a whole new perspective on the perfect surfaces of LG OLED TVs. The photo exhibition will run from July 20 to Nov. 20 in Harpa Concert Hall. Throughout the project, LG is working closely with award-winning Icelandic writer and activist Andri Magnason. Also joining will be professional astrophotographer Sean Parker, who has created original works of art depicting the beautiful Aurora-filled night skies of Iceland. Popular tech YouTuber Lewis Hilsenteger of Unbox Therapy will serve as creative director for the campaign. During the 2006 Aurora Borealis viewing season, Icelandic poet and novelist Andri Magnason suggested that the city of Reykjavik come together to make the beauty of the night sky visible within the city for the first time. Magnason wanted the people of Reykjavik to see the northern lights and stars against a completely black backdrop. Just as eliminating light pollution allowed the people of Reykjavik to see the lights in all their glory, the pitch black backdrop of OLED TVs heightens the contrast and delivers richer images. LG OLED TVs feature individually illuminated pixels, eliminating the need for image-distorting LED backlights. Without this backlight, OLED TVs are capable of displaying perfect black images alongside bright, lifelike colors. LG OLED TVs consistently bring viewers what TV experts have called the best picture quality available, and the entire 2016 LG OLED line lives up to that billing. Thanks to OLED technology’s unique ability to turn each pixel on or completely off, LG OLED TVs produce perfect blacks and flawlessly render crisp, vibrant colors and rich shadow details, even when bright objects are directly next to deep, dark areas (unlike LCD TVs, which have a halo effect from light bleeding). The entire 2016 LG OLED line of 4K Ultra HD Smart TVs deliver the stunning picture quality and advanced technologies of OLED: perfect blacks, improved brightness, expanded color, and amazing picture even at wide viewing angles. Each of the eight models also delivers a complete high dynamic range (HDR) experience for images that come to life with support for both Dolby Vision™ and HDR10 with “Ultra HD Premium” certification by the UHD Alliance. The concert and photo exhibition will take place at the award-winning Harpa Concert Hall in Reykjavik.